The tickets have been book, your hotel or short-term apartment has been secured, now the hard part comes.. how best to fill your time in Florence? You have no shortage of choices in this Renaissance city the only thing that matters is how to filter in what you actually want to do. This city really does have a lot to offer and not just the usual “see the David, take a photo of the sunset and Ponte Vecchio” kind of way. For example, the contemporary art scene has really stepped up its game (hello Palazzo Strozzi, Museo Novecento, La Murate PAC, Museo Casamonti), as are the foreign film festival options, really interesting local events (storytellers, art battles, open-mic nights) and if you want to shop, do it smarter; help local artisans and boutique owners keep their businesses alive and have a unique piece that you can’t just pick up at an Urban Outfitters/chain store. Here’s a list to help you get started. Personally, my favorite season to be here is late Autumn and early Winter, a time when the weather can put off some but not me, and it is slightly—read the word slightly—less crowded. 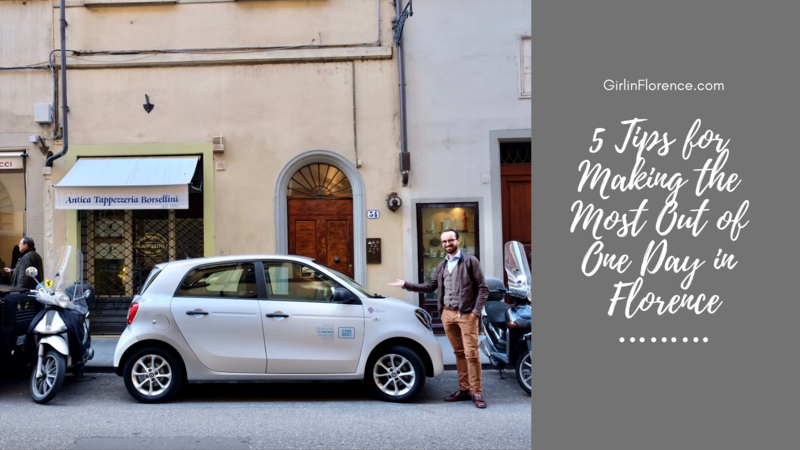 In order to better help you figure out how to spend a day (with hopefully many more), or just give a person who has lived here more ideas on what to do on a weekend, here are my five tips on making the most out of your time in Florence in a city that is the one responsible for the entire concept of Stockholm Syndrome. 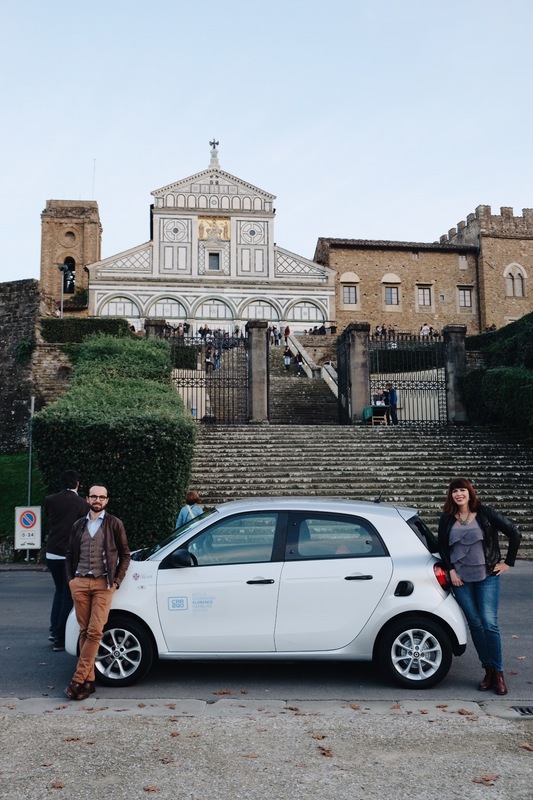 I did this article in collaboration with Musement and Car2Go and to complete the fun, they even included us in a little video of our day by the talented Lisa Marchiani out as tourists in the city of Florence! I love my city but I have a hard time finding a place to have an Italian breakfast that I actually love. 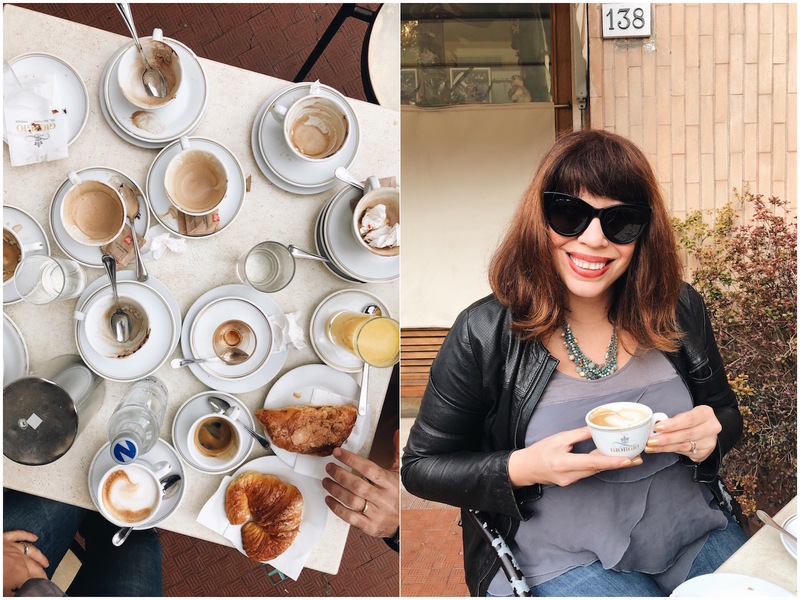 A lot of places in the center sell frozen croissants and the like so when I really want to embrace a Saturday morning like a local, Nico and I head out of the center to Pasticceria Giorgio located in the suburbs of the city in an area called Soffiano. 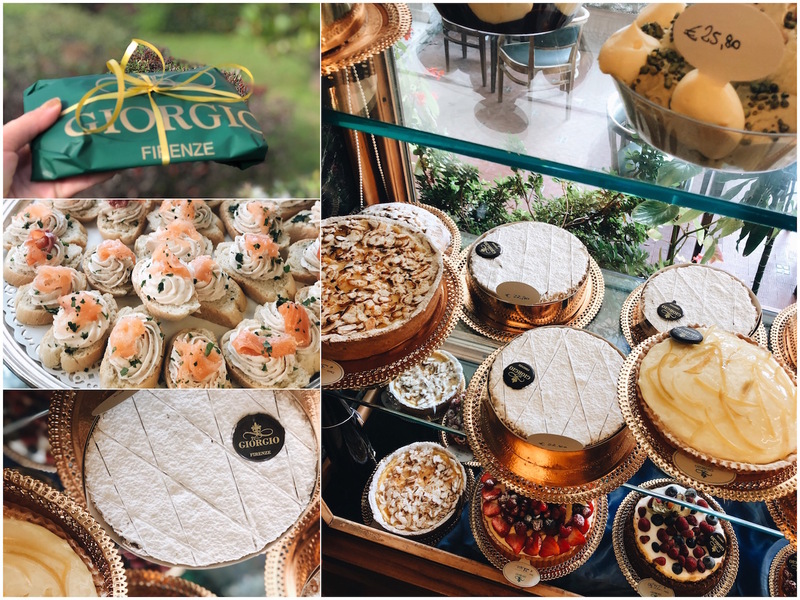 Open since 1972, Giorgio has long been a local favorite for freshly-baked pastries stuffed with Chantilly cream, superb flaky millefoglie and during carnival season, their schiacciata alla fiorentina (am orange scented cream-filled cake) is considered one of the best in town. They also serve lunch, aperitivo and dinner but I typically stick to the sweet stuff. 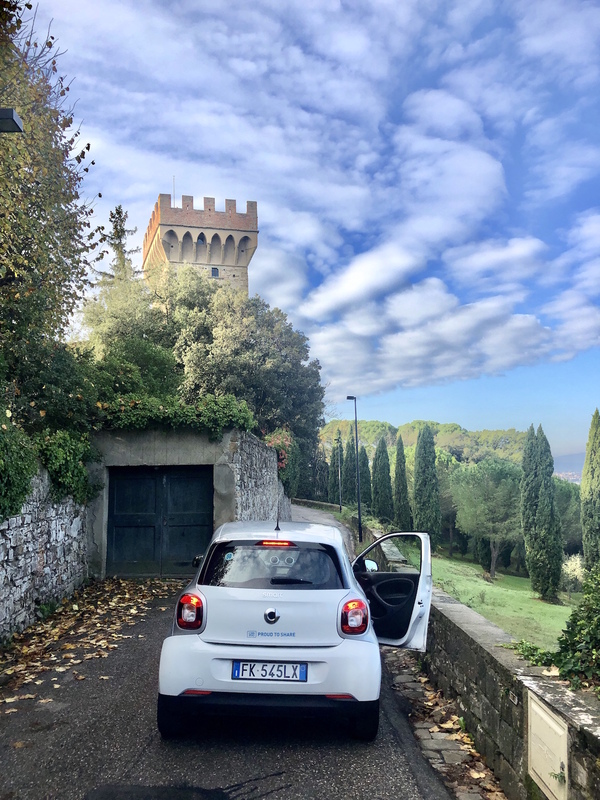 Since it isn’t exactly located in town we took a Car2Go– an insanely easy and very convenient way to move around the city via rental car where you pay by the minute (19-21 cents a minute depending on the size of the car, they have two and four seaters). All you have to do is register online, download the app and soon as everything is approved you are ready to go! We picked up our car near Porta Romana and within minutes were on our way along the sunlit backstreets of town where at least three pastries were waiting for me. This is quite the game changer for me that I do not own a car but obviously, you do need a valid license to sign up. If you are just visiting for a short time, you’ll need to show them your international driver’s permit (see below) otherwise this was just the motivation that I need to finally get my Italian driver’s license year, a daunting task that up until now, I have resisted because it’s uh…hard. 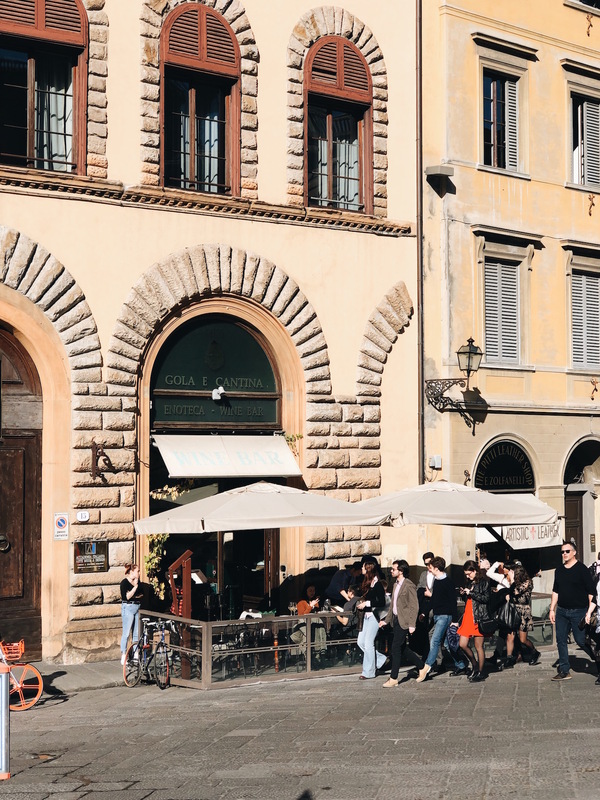 For those who would rather stick to the center, check out Pasticceria Nencioni (Sant’Ambrogio), Pasticceria Antico Forno (San Lorenzo), Dolce e Dolcezza (Piazza Beccaria) Forno TOP (Santa Maria Novella), Il Santo Forno (Oltrarno) and Forno Pintucci (Porta Romana). ****Regarding who is allowed to use Ca2go: keep in mind that they accept driver’s licenses issued in the European Union (EU) and the European Economic Area (EEA). Other driver’s licenses are valid for 6 months from first entry in the EU country. For validation, non-EU/EEA driver’s licenses must be accompanied by a certified translation (or an International Driver’s Permit), a passport, proof of residency in the EU country, and proof of date of entry into the EU country (e.g. boarding pass, entry visa, proof of residence). If travel has taught us anything in the last few years is that it is exciting, but also crowded, exhausting, expensive. The internet simultaneously screams deals at us regarding plane ticket deals all while in-depth blogs and articles also warn us we are ruining the very places we love just by… visiting. It’s a confusing message, clearly, and while I can’t personally answer the question that is mass tourism in Italy, Europe and the world, I can say if you plan to come to Florence, stay a little longer and consider skipping some of the most famous places that people say you can’t miss. 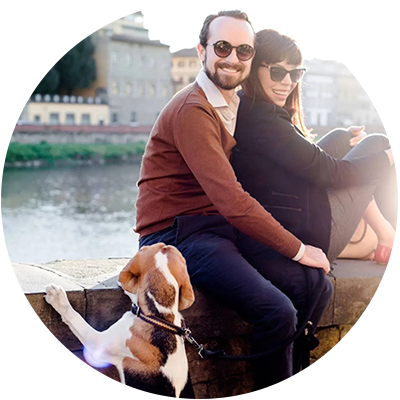 There is nothing wrong with going “hey, I’ll leave the Uffizi and the David” for another time and see what else the city has to offer, including booking experiences (cooking classes, private guides, dining crawls, Arno boat rides, or artisan tours. You can always ask me for recommendations (I don’t bite… well sometimes) and I truly believe that people should expand their horizons but don’t make a mountain out of a molehill if you aren’t a classical art’s lover. One place I return to often and bring people is the Pitti Palace, a museum that isn’t exact undiscovered but it still remains one of my personal favorite museums to get a unique perspective of Florence, especially when it can offer you a window into the world of the most famous family that once called this place home, the Medici dynasty. Luca Pitti, the original owner had a grand idea of creating the biggest palazzo in town, a palace where windows were as big as doors though what you see today is the result of four centuries. Eventually going broke while building the immense palace, Luca was forced to sell it to Cosimo I and Eleanora of Toledo. It’s good thing they went for a place with space because they went on to have eleven kids. Eventually it became the former home to Napolean’s (yes that one) sister and the king of Italy when Florence was briefly the capital of Italy. 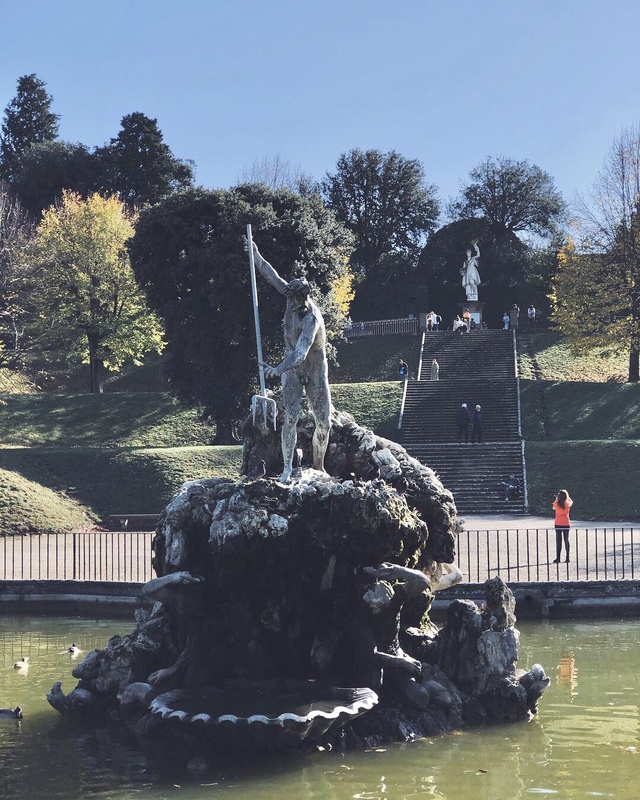 In addition, the Boboli gardens are a great example of one of the earliest Renaissance gardens in Europe and nearby Bardini is well worth a stop too (truth be told, I like it even better, especially during wisteria season). 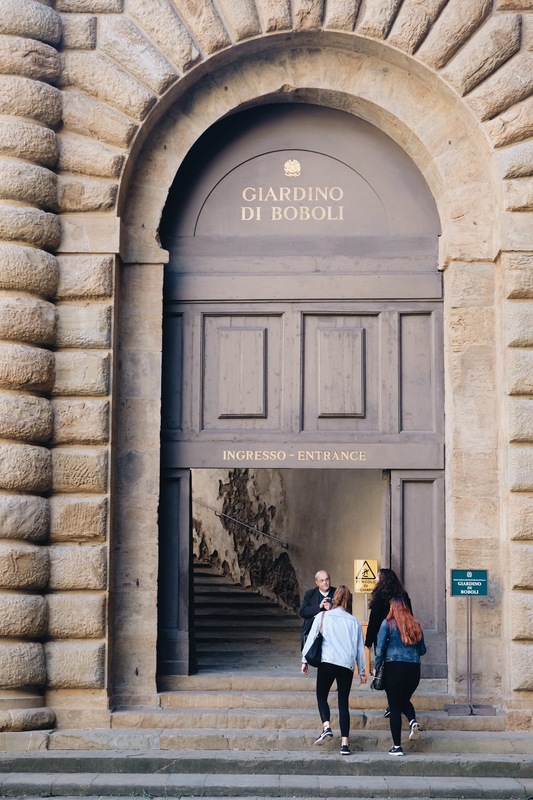 We used Musement to book our ticketsto the Boboli Gardens most recently (this includes the Porcelain museum, located inside) – a straightforward skip-the-line process that allowed us to simply show the ticket office our mobile vouchers in order to get our tickets. 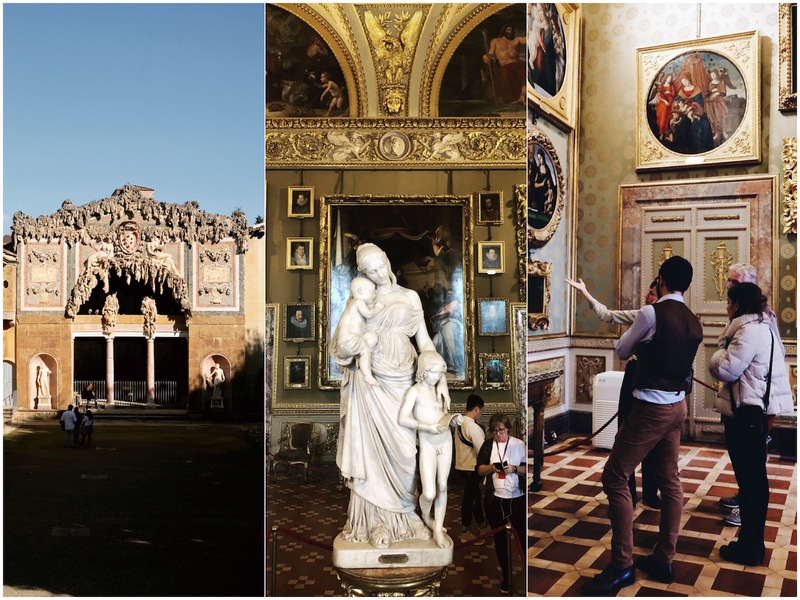 Musement offers a two-hour guided tour through Pitti’s main rooms for 57$, a really excellent deal and if you book in low-season you might get the guide to yourself like we did on an off-season visit in November. I used to be one of those people who planned every single hour of their vacation, in fact it’s only been a few years that I have taken a much more relaxed – and dare I say it sane – approach to making the most of Nico and I’s vacation time. I still want a set number of activities, tours, etc. but I leave time to relax in our hotel room, take a nap or just wander for most of the day if that’s what we feel like. This means I get to rest a bit more, and my husband doesn’t want to kill me at the end of our adventures. That being said when it comes to food, I don’t joke around. A bad meal can piss me off and as I learned recently on a trip to Porto, can also cause me to be sick for several days on a short weekend vacay. 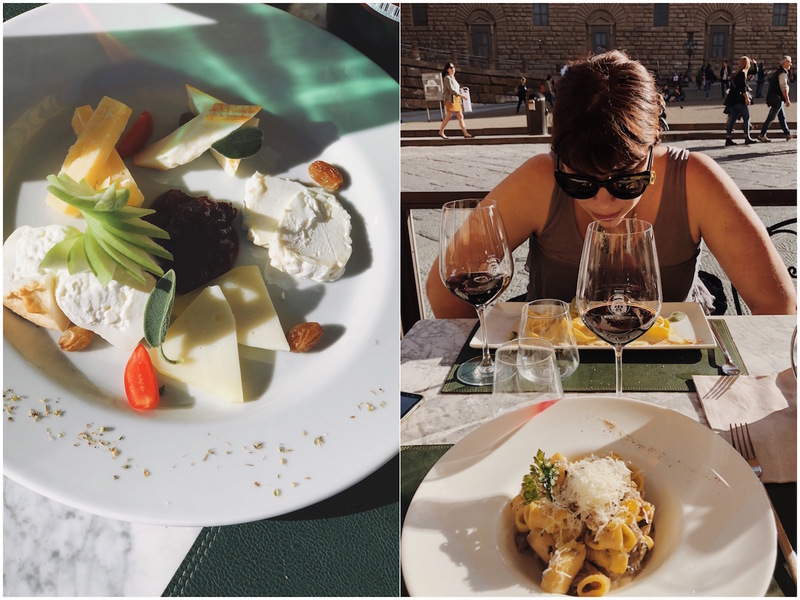 The food scene in Florence has definitely improved in recent years but finding any “hidden gem” are pretty rare unless you don’t mind discovering a nondescript spot outside of the center. If there is something that tickles your fancy in the center, don’t assume that you can walk in and nab a table, even in two. Naturally during slower seasons, this might be possible but Italians love to eat out just like anyone else and you may be hard-pressed to find a table at a decent hour during the weekday. One of my favorite places for an intimate lunch is Enoteca Pitti Gola e Cantina located directly in front of Pitti Palace. The old-school vibe and marble-topped tables is the perfect setting to dive into the world of traditional Italian wines, fresh pastas and curated cheeses. Other favorites on this side of the river include Carduccio for salads/healthy fare, Trattoria Il Guscio, Trattoria Camillo, Trattoria Sabatino, Trattoria Casalinga B.o.R.G.o, while for pizza I typically Fermento 1889 and Al Solito Posto. I have tons of other recommendations on this ever-evolving list up on the blog hereand this list by Curious Appetite for Eater is pretty spot on as well. 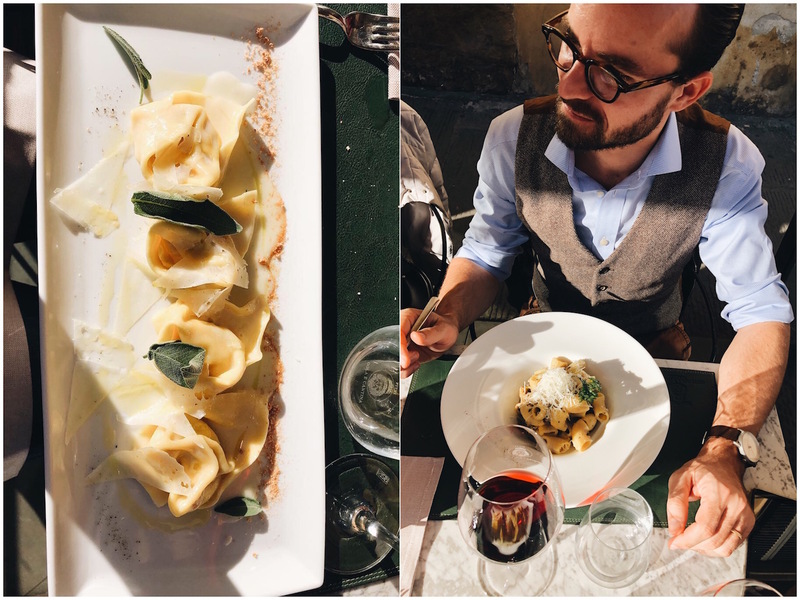 If you happen to be a newbie when it comes to dining in Italy, here are a few things to consider. Also, Curious Appetite has a great list on her website here. You’ll always see multiple courses on the menu in Italy but don’t feel like you need to order from each. Often we go for an appetizer and a main or first course and main or even just one dish. Just think of it as having options. Most people eat lunch between 12:45-3pm, dinner from 8pm-11. There are occasionally places that are open continuously but it pays to check in advance. Florence might seem like the carb/meat world capital but trust me, this is a region that truly loves their seasonal veg. For those with a gluten intolerance, who don’t eat meat, or are vegan – here’s my list of recommended places. Ice is not really a thing unless you are ordering a cocktail and even for a coca cola you’ll probably need to ask for it however for cold coffee in the summer you absolutely ask for your espresso con ghiaccioor better yet, un caffe shakerato. More and more places are accepting credit cards but there’s a chance that the machine might not be working that day so always carry a bit of cash on you. And splitting bills isn’t a given, sometimes you can, sometimes it is best if you don’t (big groups). Tipping isn’t required, but feel free to leave a few extra euros if you loved your service. It doesn’t have to be 20% like in the USA. 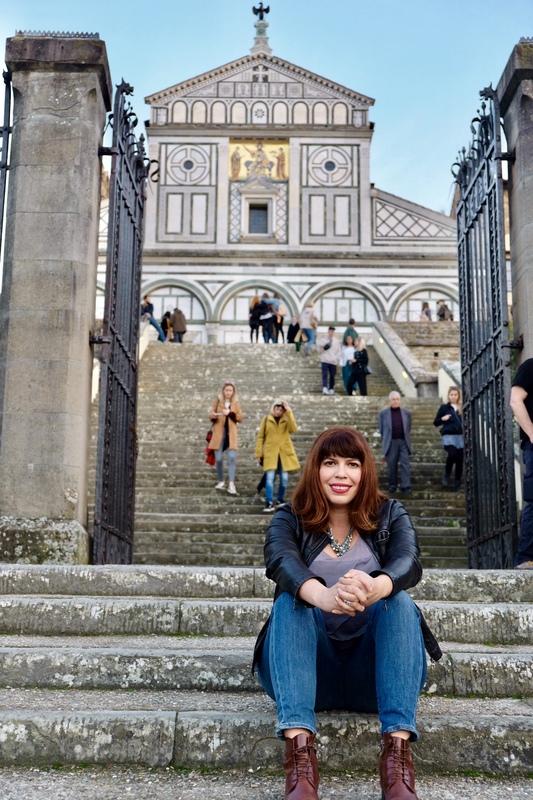 There are plenty of rooftop bars and restaurants with views over the terracotta tiles of Florence that will have you begging for more but my absolute favorite place for a view that Brunelleschi himself would appreciate is always my beloved San Miniato al Monte. This basilica has been watching over Firenze for the past 1,000 years. The church was dedicated to the first Christian martyr of Florence, Saint Minias (Miniato), and was inaugurated in 1018, we know this thanks to the Charta Ordinationis signed by the Florentine bishop Ildebrando. According to legend, Saint Minias was beheaded and carried his head in his hands to the top of the hill where, first a shrine, then the church and a monastery, were built. Without a doubt, it is one of the finest examples of Florentine Romanesque with its iconic green and white marble façade, a masterpiece inspired by the solid and geometric classicism of Roman buildings. Inside you’ll find work by Luca della Robbia, Michelozzo and Taddeo Gaddi. You’ll also spot a cemetery here, the eternal home for many notable local figures, including Carlo Collodi, the author of Pinocchio. The shop on site sells the artisan products made by the priests; beeswax candles, honey, chocolate, generally open daily from 10-6pm (they take a break from 12-4). This is the place where we took many photos of our wedding in 2015 and this is a regular stop for Ginger, our beagle and I, when we go on our long weekly walks. 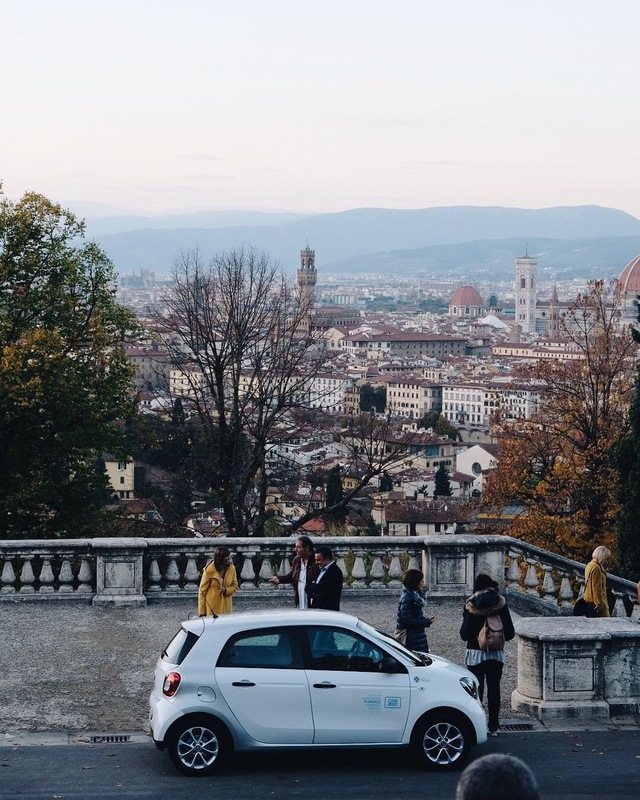 You can drive up here quite easily on the windy Viale Machiavelli, otherwise the walk will take you around an hour from Porta Romana, bus #12 is also a great option and drops you off at nearby Piazzale Michelangelo. 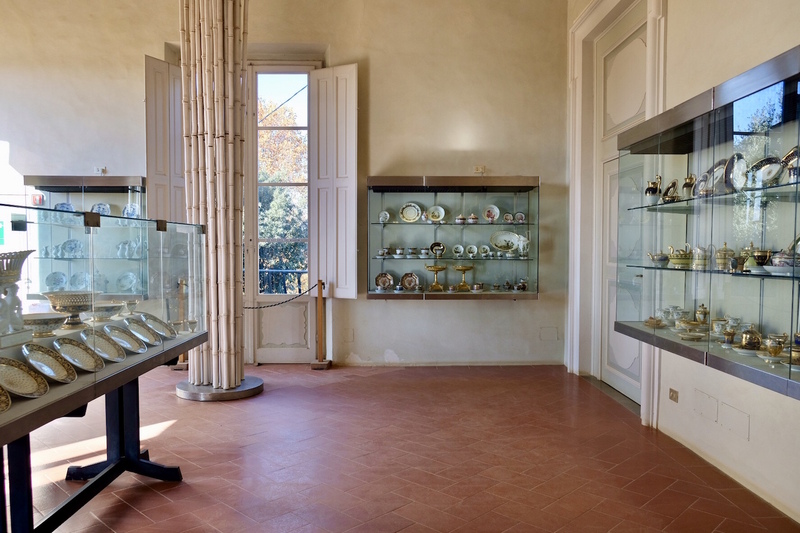 Other favorite viewpoints include the charming Etruscan town of nearby Fiesole, Bardini Gardens, Caffe del Verone on top of Museo Innocenti and Forte Belvedere when it is open for the season. For a girl who has spent a lot of time at restaurants, both for work and for pleasure, what I always remember most isn’t solely the food, it’s who I was there enjoying it with. 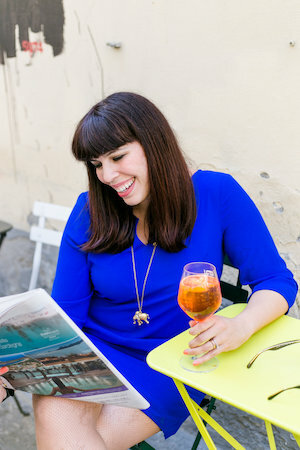 It only took me eleven years to discover La Cesarine, a non-profit network in Italy offering culinary experiences all over Italy created by a community of hand-selected local experts; the word ‘Little Caesars’ itself refers to a passionate Italian cook and host whose empire is the heart of the Italian home: the kitchen. These men and women are happy to open their homes to people they’ve never met before, serving them local dishes and passing on their generations-old family recipes. 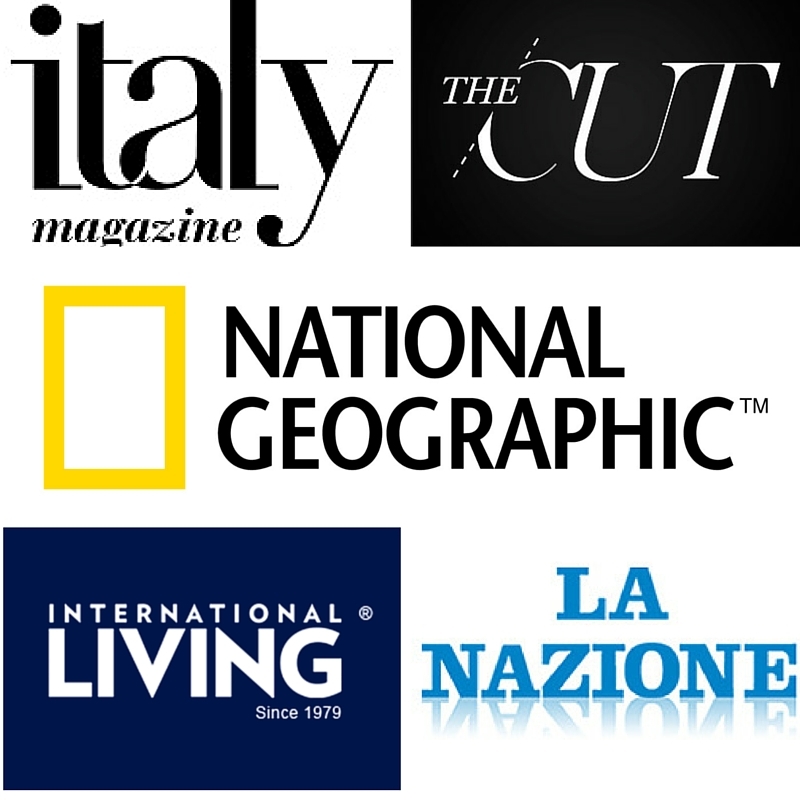 Essentially, you can choose from a range of options including cooking demonstrations, lunch or dinner, and of course pasta classes depending on what city in Italy you might be in and availability. Obviously during any vacation, you will have the opportunity to discover the dining scene on your own, but joining one of these dinners is like an inside look at someone’s life who lives in the city you are visiting. A chance to ask those lingering questions you have about life on the daily in Florence and simple have a laugh with someone who might even become a new friend. We took advantage of this opportunity and met the loveliest couple who by chance happen to live a mere few streets form our own house, a pretty cool surprise if you ask me. Annamaria and Andrea aren’t native Florentines, but like us, they have chosen to live in this city for over a decade – even if this means a grueling four-story staircase on the daily for them. 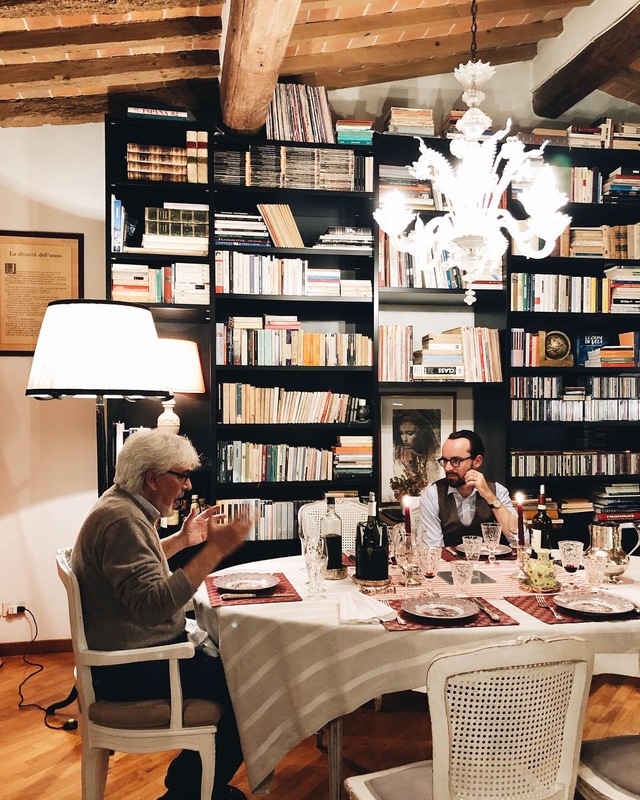 Their elegant home took my breath away, a warm and inviting space with tons of books directly across Pitti Palace. 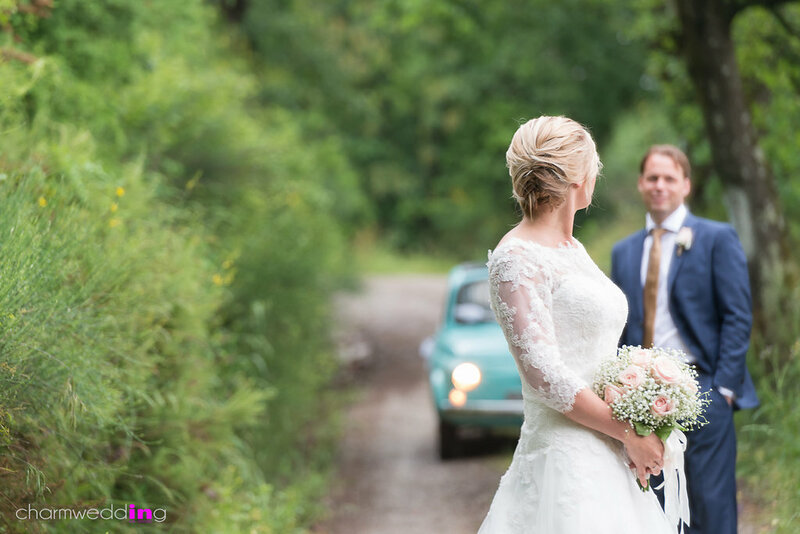 Her attention to detail and Andrea’s passion for music set the tone for what would be really one fabulous evening. Annamaria let us in her warm and fragrant kitchen as she finalized preparations for a delicious slow-cooked bean bruschetta with extra virgin olive oil, pressed that November. This followed by a hearty vegetable soup and roasted pork loin with rosemary and potatoes. 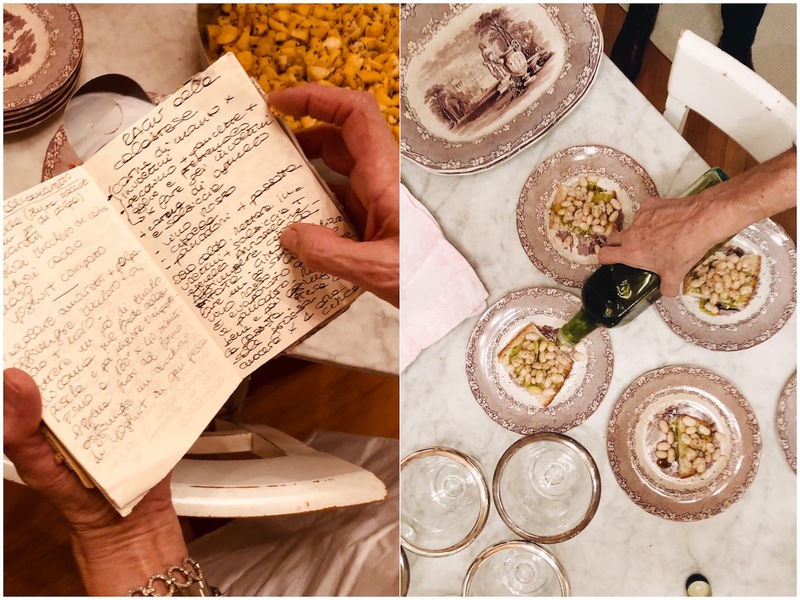 She showed us her intricately handwritten recipes passed down by her mother and grandmother, and we shared stories about our lives and what brought us all to the city of Florence. It was honestly the best night out with perfect strangers that I’ve had in quite some time, despite our generational differences, we became close in a matter of hours. After finishing our tiramisu I felt the true “pick me up” lied in the generosity of Annamaria and Andrea, to let us into their home and their lives, even if just for one evening. Disclaimer: This is a sponsored article but I personally picked out and approved every activity we went on; Car2Go was gracious enough to lend us a vehicle (we didn’t crash it yay) and Musement gave us the tickets for the museum and home dining experience, it goes without saying that all of opinions are 100% my own! Loving your Instagram and blog it keeps the memories of our brilliant 6 day visit to Florence alive. It was a wonderful stay and the luxury of having six days to take it in was a pure delight. Our decision to dedicate that amount of time was the right one rather than split it in two with Rome. Your posts about Lucca have raised my interest and we are setting our sights on Rome for another November break next year. My wife and I live in Cressage, just outside Shrewsbury in Shropshire UK. So if you ever need any recommendations in our area would be happy to help. We’re coming to Florence in May. 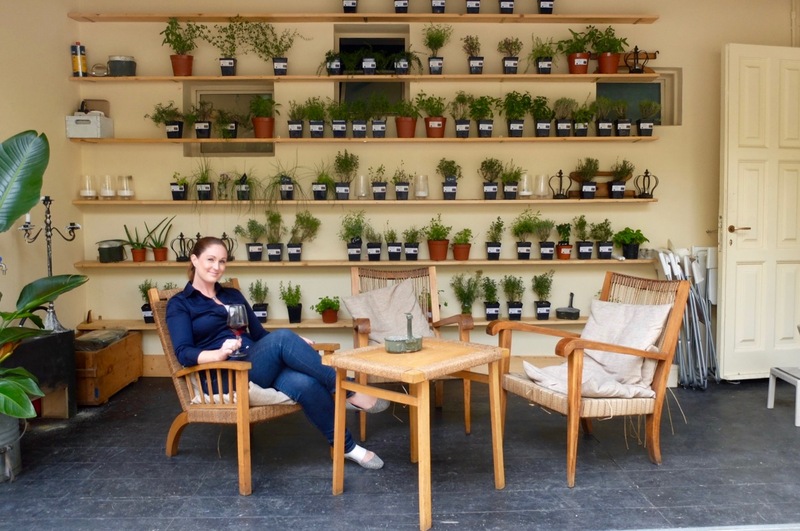 Do you have any favourite restaurants you’d recommend? Not expensive; rather we’re looking for good traditional Tuscan food. Ciao Gary, I have a full list including “typical Tuscan” on the blog here, for great places with good prices, go for Trattoria Sergio Gozzi (lunch), Casalinga near Santo Spirito and Il Brindellone. GIF this is so awesome. I am looking forward to trying this down in Puglia. Question, we are only in Florence for two nights, do you recommend giving this a try one of the two or dining out at one of your recommended restaurants for both?